On another occasion he found that beautiful Salutation of St. Elizabeth to The Virgin Mary and the wonderful canticle. MAGNIFICAT in which Mary foretold that ‘the generations would call her blessed.’ He said no more about it to his mother but started to recite the ‘Hail Mary’ every day as before. He felt pleasure in addressing those charming words to the Mother of Jesus, our Savior. When he was fourteen, he one day heard a discussion on Our Lady among the members of his family. Every one said that Mary was a common woman like any other woman. The boy, after listening to their erroneous reasoning, could not bear it any longer, and full of indignation, he interrupted them, saying: ‘Mary is not like any other children of Adam, stained with sin. No! The Angel called her FULL OF GRACE AND BLESSED AMONGST WOMEN. Mary is the Mother of Jesus Christ and consequently Mother of God. There is no higher dignity to which a creature can be raised. The Gospel says that the generations will proclaim her blessed and you are trying to despise her and look down on her. Your spirit is not the Spirit Of the Gospel or of the Bible which you proclaim to be the foundation of the Christian religion.’ So deep was the impression which the boy’s talk had made that his mother many times cried out sorrowfully: ‘Oh my God! I fear that this son of mine will one day join the Catholic religion, the religion of Popes!’ And indeed, not very long afterwards, having made a serious study of both Protestantism and Catholicism, the boy found the latter to be the only true religion and embraced it and became one of its most ardent apostles. Some time after his conversion, he met his married sister who rebuked his and said indignantly: ‘You little know how much I love my children. Should any one of them desire to become a Catholic, I would sooner pierce his heart with a dagger than allow him to embrace the religion of the Popes!’ Her anger and temper were as furious as those of St. Paul before his conversion. However, she would change her ways, just as St. Paul did on his way to Damascus. His sister was somewhat reluctant at the beginning but as she wished for her son’s recovery. She accepted her brother’s proposal and recited the ‘Hail Mary’ together with him. The next day her son was completely cured! The mother fulfilled her promise and she studied the Catholic doctrine. After long preparation she received Baptism together with her family, thanking her brother for being an apostle to her. *The story was related during a sermon given by the Rev. Father Tuckwell. ‘Brethren, he went on and said, ‘The boy who became a Catholic and converted his sister to Catholicism dedicated his whole life to the service of God. He is the priest who is speaking to you now! I have done 9 days novena of mother if forsaken in baroda india n I knw my husbsnd will not giv divorce n return to me n all of u pray for me in jesus name…Mother mary help me..Amen. this is really true about mother mary . Mother mary is very powerful , need to prayer on daily basis, we can make out lot of changes in our life, specially in difficult moments. I had seen mother mary in my dream , holding infant jesus beside mother mary and speaking to me. I could not open my eyes, it was a bright light 10 times powerful than sun rays , like a pure milky white. After that i am doing lot of prayers to mother mary. We pray to mother mary every day. pls pray to mother mary for us. some people claim to have seen him around Mumbai areas. We have been searching, but have still not found him. Due to his cancer operation 10 yrs back he has a speech disability. he is unable to speak clearly to people.He does not have a phone either or any other details or money with him by which he can reach home (Vasai). Request your prayers so that he can find is way back home to Vasai (Mumbai) or we find some way to reach and find him. One morning Jeues came to me befor morning he came just as he look in the passion this was 1991 full of blood show me his crown of thorns hands and feet the he said to me ” I want you to know in the next3 days if I had to do it all over I would do it just for you ” then I woke up it was so surreal . I pounder it for many years I was 29 years old that very same day mt mom went into a coma and pass way . However what did he me in the next 3 days? I was sharing this with a relative he ran and came back and gave me that medal he said no one just see Jesus in a dream and he just talks too you . However I did not concern it a dream . What did he mean by givin me this medal ? And why did Jesus say 3 next three days ? I am know 54 years old and still pounder on it. If anyone may have the answer please share. Where are citations to show the truth of this story? I love the story; however, I hate to post a “true” story only to find it is just another nice story. I am not a Catholic but the Blessed Virgin has revealed herself to me vaguely at times, sometimes i will close my eyes and see her vividly as she is usually represented in pictures and statutes. What i am about to tell you is a true and actually happened. I was dating a guy and planned visiting him with the intention of spending the night at his place, although my biological parents did not approve of it. One evening i was resting on my bed waiting for the usual 7.00pm phone calls from my boyfriend but he did not call. I woke up at 10.00pm ish angry wondering why he had not call; my boyfriend told told me that my mother called him telling him emphatically that she was my mother and warned him that he should not see me anymore and what we were planning to do is not right. I was frustrated and upset with my biological mother and almost confronted her as to why she should call my boyfriend to warn him and discourage him. To cut the story short things ended sourly with me and my boyfriend so we ended the relationship after i disobeyed my parents and spent 3 days with him. Seven years later I asked my biological mum why she called my ex-boyfriend to warn him, she was surprised at my question and confrontation, she swore to me that she had not called my ex and that was when i knew that it was the blessed Virgin who called my ex, I know you are asking how i got to know it was her, because I asked the blessed Mother to reveal herself to me when my ex was dating me because i was so frustrated and angry at myself. I am a charismatic christian. I am ever grateful that the blessed Virgin saw me as her daughter. Thank you Holy Mother. I have experienced a great MIRACLE in my life by reciting the rosary everyday,I prayed that MOTHER MARY would give me a good hike in my job,she not only gave me a good hike but PROMOTION to higher level as well,THANK YOU MAMA MARY,I recommend the POWERFUL ROSARY to all those who are seeking MIRACLES, PRAY WITH COMPLETE TRUST IN HER ONLY THEN WE WILL RECEIVE WHAT WE ASK, BELIEVE IT !! NOTHING IS IMPOSSIBLE FOR OUR MOTHER MARY. 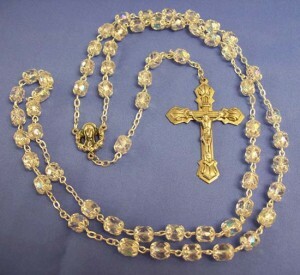 Although born as Catholic and said rosary every day I was still in a doubt whether I should pray directly to God or say rosary. I was often thinking why should I go through St. Mary. One night I closed my eyes and I saw heaven in front of me and I have seen heaven, as a white palace and Mother Mary was sitting in her white gown as a Queen..I felt so sorry that I doubted that and understood that Mother Mary is our own mother. 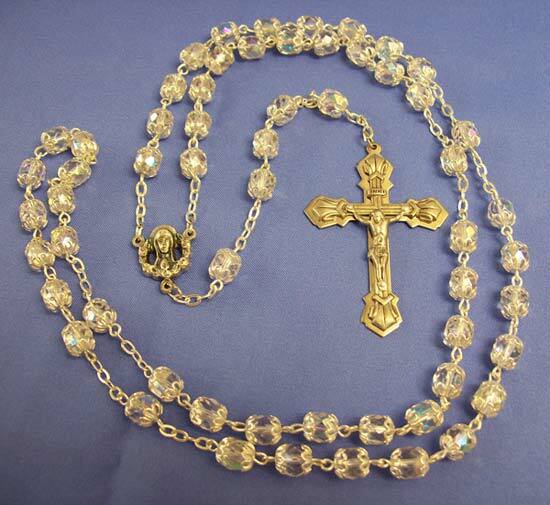 We can pray for anything……Glory to Lord..
help me to always recite the rosary everyday . Please pray for me to become a complete devotee to our Mother of perpetual help. Today I woke up with such anxiety about my financial situation. I wanted to be back in college to further my skills, I wanted so desperately to have a job interview for a job I wanted, and in all this turmoil I applied for temporary assistance and thought I was denied. I was accepted to school today, I landed the job interview I wanted, and I found out my application was approved after much doubt it wasn’t. My aunt had posted a novena to Holy Mary on Facebook and I quietly said it and started my day, trusting Mary and God to take care of us. Everything I prayed for was addressed in some way and my heart is so very grateful and humbled that words won’t do it justice. God is GREAT. Our Mother is the best!!! God is listening, our Mother is too! I hope this story can help one person say a Hail Mary and bring them closer to her Divine Love. To my Catholic friends and family. Today will be a great day for those who believe in the power of prayer. When you receive this message, pray a hail Mary and make your special request! Hail Mary, full of grace, the Lord is with thee, blessed art thou amongst women and blessed is the fruit of thy womb, Jesus. Holy Mary, mother of God, pray for us sinners, now and at the hour of our death, Amen! (Do your request) please do not break the novena. Copy and paste within the hour! (It is not to share. Copy and paste on your wall) believe, Mary has passed to the front of the problem and has already made everything right. Amen! I hope this helps somebody as it has helped me. I am not Catholic yet. I’ve gone through RCIA, and awaiting to be received into the church. I’ve grown to love Jesus through Blessed Mother in the pass 3years. I can’t tell you how much at ease I am now compare to who I was, and how much grace I have been blessed with. Lord, Jesus Christ, have mercy on us. Tammy, you sound like a good Catholic! God’s blessings on you journey. How timely that I should be reading this now, the first day of the 40 Days for Life campaign, and I am on my way to pray the four mysteries of the rosary in front of a Planned Parenthood, in freezing cold temperature. Our Blessed Mother will be there with me and my fellow prayer warriors, the warmth of her love will see us through and her Son will hear our prayers to put an end to abortion. All my life from my youth till present i have had great faith in my being a catholic. 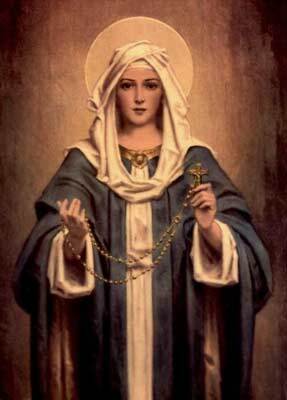 The Holy Rosary, the recitation of the Hail Mary at all times good and bad has brought forth desired results no matter what my trials have been. I am the product of a broken home at a very young age and my future was in tatters. No matter what i underwent i continued the recitation of my daily Rosary and the powerfull Hail Mary at all times. Things went from bad to worse but i never gave up. My faith was not as strong as it is at present but events gradually turned for my better as time went on. My trials continued but my life began to be better at every turn. I got a good job, went overseas, built a foundation, travelled a lot, got married at a late age to a blessed partner, and the biggest trial of all was when i was diagnosed with advanced stage 4 lower colon cancer in 2012 the results of which were not all good. Was not given much hope of a cure due to the severity of the cancer but i continued with Hail Marys without loosing hope. Five major surgeries, Chemo / Radio Theraphy, endoscopies, colonoscopies, CT scans, MRI scans, you name it , i have undergone , and here i am fully recovered. What more can i wish for in life. The answer is, Nothing more. Almighty God the father had compassion on me a sinner through his beloved son ” Jesus “. The Blessed Virgin intervened on my behalf through all those Hail Marys. Remember the miracle at Cana of Galillee. The BVM intervened on behalf of the wedding feast to her beloved Son. When i look at my life from my birth to present i ask myself the following ?????????? Have i ever been left homeless —————- No ! Have i ever been left in hunger ————— No ! Have i ever been left in thirst —————– No ! Have i ever been left to beg —————— No ! Have i ever been left naked and open to my enemies ————– No ! Have i ever been left in suffering and pain ———————No ! Have i ever been left without hope ——————No ! Then my entire life has been a miracle, a miracle difficult to explain. The ” Hail Mary ” yes ! is the most potent, powerfull weapon a good catholic can wield at any time, so cherish it and wield it carefully. The devil states that every Hail Mary recited with confidence gives him the most painfull headache that words cannot explain. Pray for me couse, i dont habe faith in holy mary jesus Christ,even in devil,.my life is in up sidedown im not working,now my girlfriend left me my family disgrace me. The angelus is a beautiful prayer and I love saying it to honor our Mother Mary,she hears her childrens prayers.she helps us who are troubled and sorrowful.Always trust her and I promise she will help you!! Our Blessed Mother leads us to Her Son JESUS, Who works Wonders and Miracles in our Lives. JESUS Never refuses HIS Mother – She is the Mother Who stood by The Cross, and She will stand by us and never forsake us, her children. We need to pray with faith unceasingly – I Place my petitions in your hands Oh Loving Mother, Show me herein that you are my mother – Mary Takeover and intercede for me with Jesus Your SON. Pray the rosary everyday and see the miracles happening . Praying the Hail Mary for my children, particularly to my eldest son who is hooked to using gadgets. I pray for Mama Mary's intervention that we may be that gentle, loving parents in disciplining them. Today Mama Mary's statue will be brought to us and may her stay will renew our faith, trust and love for each other as a family. May Mama Mary guide us truly in becoming the best parents for our children and to all the parents through the world. Mama Mary lead us to your son Jesus to lead us too in living, nurturing a Christian family. Pray this prayer daily for 3 consecutive days, your prayer will be answered after the third day. In making your request, promise to publish this prayer (share in writing on the internet this prayer or distribute this prayer to others). Holy Spirit YOU who make me see everything and showed me the way to reach my ideals, YOU who gave me the Divine gift to forgive all the wrong that was done to me, and YOU who are in all instances in my life, provide me strength, understanding, and guidance, I want to Thank You for everything and confirm with you once more I never want to be separated from You no matter how great the material desire may be. I want to be with you and my loved ones in your perpetual Glory. Amen. GLORY BE TO THE FATER, AND TO THE SON, AND THE HOLY SPIRIT, AMEN!